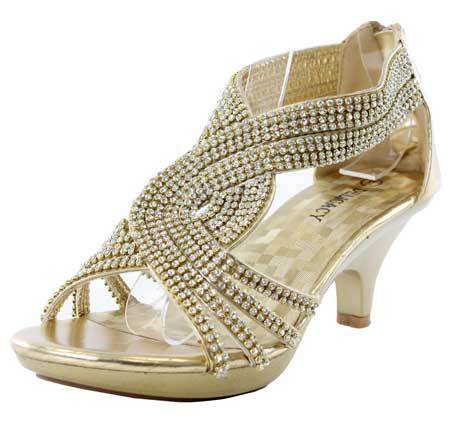 These women’s low heel rhinestone shoes are perfect for ballroom dance or any special occasion. Moreover you can walk all day long without any pain or problems. They are very comfortable and stylish. So you can use them as a formal shoes. The top part of the shoes is not so stretchable. Please note that the fit and color may vary slightly according to the style and personal references.